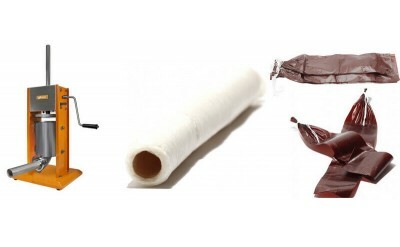 Sausage making supplies such as sausage casings, sausage seasonings and sausage stuffers. 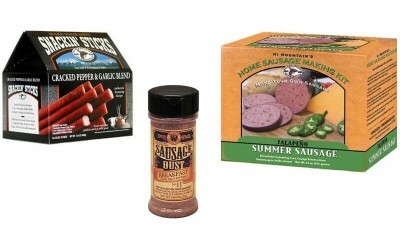 Sausage making products such as sausage seasonings, cures, casings and sausage stuffers are easy to use at home. 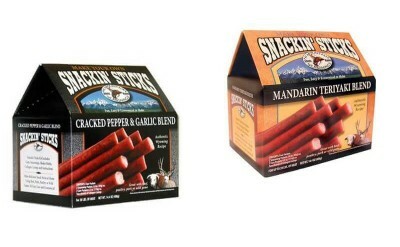 Snack Sticks are fun for the whole family to make and a treat when camping or hunting for a quick snack. Make your own bratwurst or italian sausage for grilling, you can even make summer sausage quickly and easily in your oven or smoker. 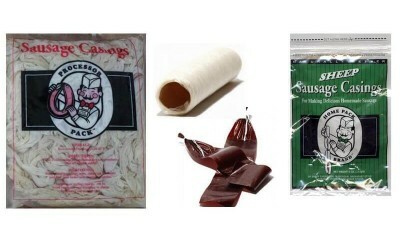 Sausage making recipes are easy to follow and using sausage casings is not a hard as it may seem. 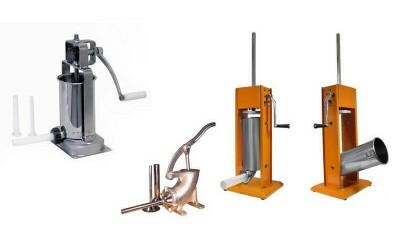 You can choose from collagen, natural hog or sheep casings for your sausage making needs.